Robert Clarke Seger (born May 6, 1945) is an American rock musician and singer-songwriter. As a locally successful Detroit-area artist, he performed and recorded as The Bob Seger System throughout the 1960s. By the early 1970s, he had dropped the "System" from his recordings, and he continued to strive for national success with other various bands. In 1973 he put together "The Silver Bullet Band," an evolving group of Detroit-area musicians, with whom he became most successful. In 1976, he achieved national fame with two albums, the live record Live Bullet, and the studio record Night Moves. On his studio albums he also worked extensively with the Alabama-based Muscle Shoals Rhythm Section, appearing on several of Seger's best selling singles and albums. A roots rocker with a classic raspy, shouting voice, Seger was first inspired by Little Richard, along with Elvis Presley. He wrote and recorded songs that dealt with blue-collar themes. Seger has recorded many rock and roll hits, including "Night Moves", "Turn the Page", and "Like a Rock", and also co-wrote the Eagles number one hit "Heartache Tonight". His iconic signature song "Old Time Rock and Roll" was named one of the Songs of the Century in 2001. With a career spanning five decades, Seger continues to perform and record today. "Old Time Rock & Roll" charted #2 as most played Jukebox Singles of all Time, second only to Patsy Cline's "Crazy". 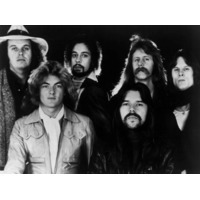 Seger's songs have been covered by many artists including Thin Lizzy and Metallica.